The Marvel Cinematic Universe (MCU) - How'd They Do It? The Avengers did not bring in $1.5 billion dollars because they threw a bunch of heroes on the screen together as fast as they could. It took four years and six films to get that kind of Mojo composed. Batman v Superman intends to ram multiple major characters from the DC universe down our throats all at once. I can't help but see this image in my head: In the MCU, we were introduced to each character and went along on their journeys with them. We got to know them as individuals. We got to explore their individual triumphs and failures. We got to experience their sacrifices and pain. We the audience let them woo us - and we didn't let them go all they way until the 6th date! And we were not disappointed, because we keep coming back for more. Proof that we as an audience wanted more came with the first movie in Phase 2 - Iron Man 3. This was the first of the Standalone Marvel hero movies to break the billion dollar barrier, bringing in an impressive $1.2 billion all on it's own. 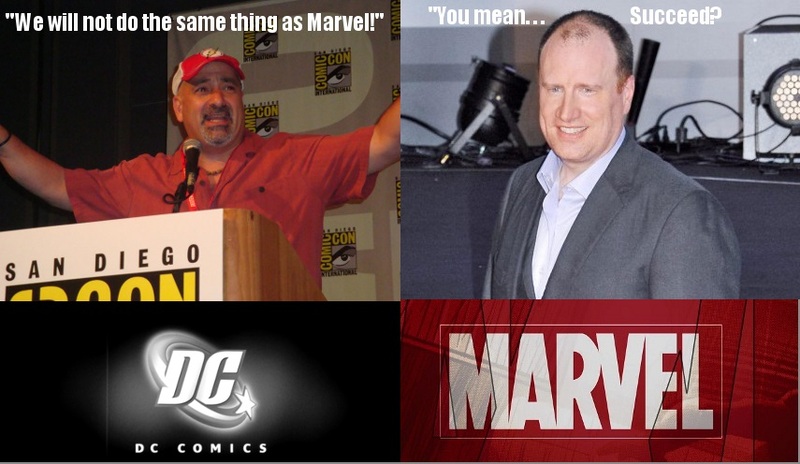 This led the way to not only the core heroes we've already seen having flourishing franchises, but to the development of new franchises in Ant Man and The Guardians of The Galaxy, not to mention bringing Agents of S.H.I.E.L.D. to life and a group of new projects in conjunction with Netflix. Investing the time in the franchise and the characters can only bring about good things for D.C., If they would only stop trying to re-invent the wheel. How Can the Creative Team Behind Batman v Superman Avoid Disaster? Needs to be about Superman and Batman (Yes I think giving Batman top billing in the Man Of Steel sequel is idiotic). 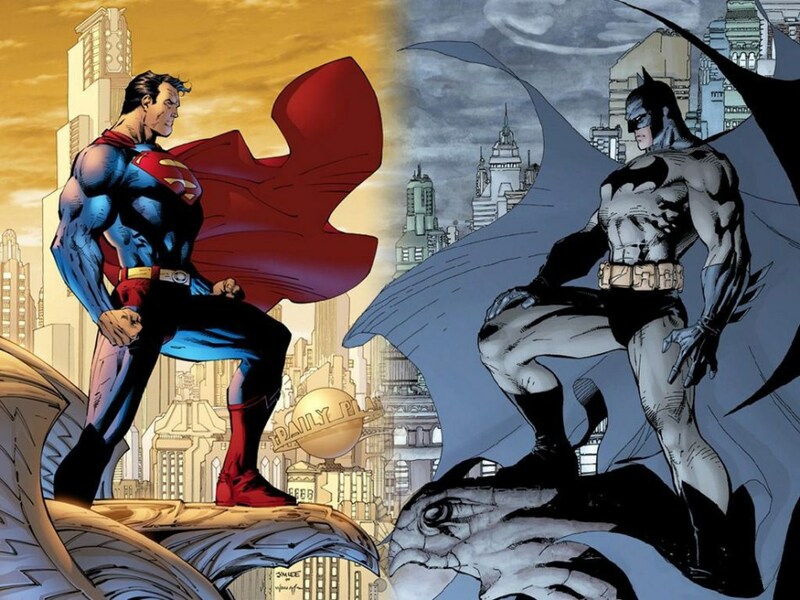 Give them some tension, I think the best Superman/Batman moments are because of that tension - it is OK for them to not exactly like each other. Should use Luthor as the mechanism to pit them against each other and have them overcome that manipulation to see through the farce. Give them each their moments and turn it around in the end to stop the true villain. Should NOT use Diana as a main character. (I know this is a rough one, but hear me out.) Bring her in towards the end of the film, her attention drawn to the world outside of Themyscira by the events of Man of Steel and the current conflict. Her intention is to help, and use that meeting to lay the foundation for the Justice League. Save her for the Justice League Movie and a Standalone franchise. Should NOT, for the love of all things nerdy - make Batman the grandpa of the future Justice League.